Is there anything better as a teacher than watching a child take incredible pride in their work? One of my students completed this piece of art in Art Tech today. She has had 2 hours less than the other children, and has been chomping at the bit to get into some of her own ideas rather than the scaffolded teaching for the last 5 weeks. 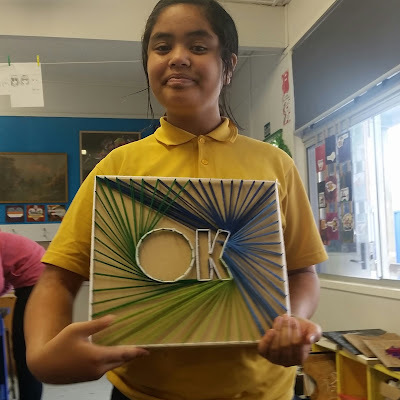 Today I watched her find this piece of inspiration on her netbook, sit for 5 minutes as she figured out the steps she would need to take to create it, then go for it! She even took my advice and made a couple of changes to make it unique to herself, rather than a direct copy of another artist.